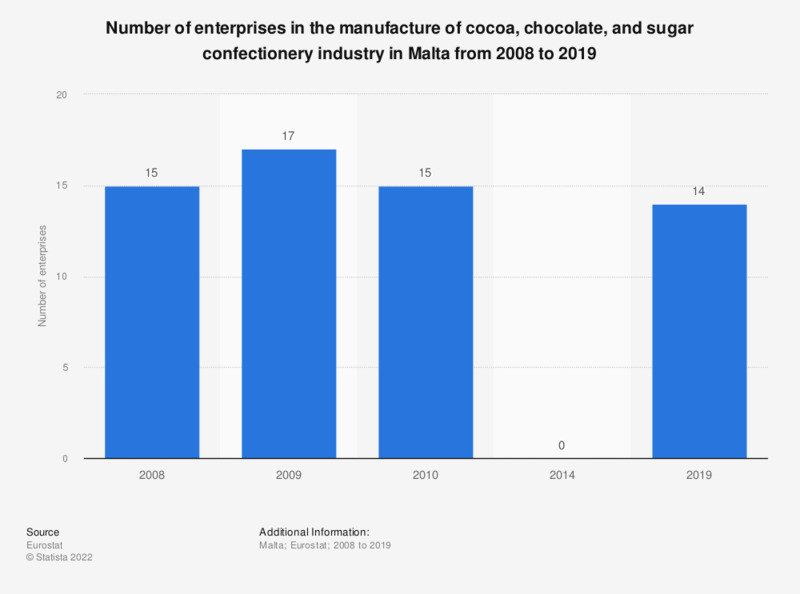 This statistic shows the number of enterprises in the manufacture of cocoa, chocolate and sugar confectionery industry in Malta from 2008 to 2014. In 2014, there were no enterprises in the manufacture of cocoa, chocolate and sugar confectionery industry in Malta. Data for the years 2011 to 2014 was held confidential by the source, because of its low reliability. Data coverage corresponds to code C1082 of NACE Rev 2.